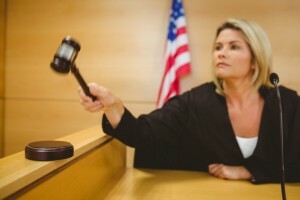 Each court in the judicial system has its own unique characteristics and procedures. Small claims court is no exception and it has some very distinct features. You are ordinarily not represented in this court by an attorney and the amounts of money involved are quite small. Still, this is one of the more active courts. Most people have their time before the bench in small claims. Evidence is going to be critical and a person has to know how to prepare it. That could be a real nightmare for anyone unfamiliar with the law. This is why a group legal plan can be a very valuable benefits. An excellent pre-paid legal services benefit allows an attorney to help a group legal plan member prepare evidence for a small claims hearing. Legal pressure can also coach the person on how to present the documentation, making clear his or her position. Countrywide Pre-Paid Legal Services allows for such assistance. We go a little further than that because we know that many times these cases can be settled out of court. The extra benefits involve communication. A Countrywide attorney is able to make telephone calls and write letters on behalf of the plan member. This makes it easy to approach the other party and perhaps reach some kind of agreeable settlement. The lawyer becomes a negotiator, seeking to find the best possible resolution. If it is possible to settle the case outside of court, a lot of time is saved and trouble avoided. If a court date is inevitable, a group legal plan member can still look at other benefits that are part of a Countrywide basic plan. Pre-paid legal services will include an unlimited number of telephone calls on a given situation as well as face-to-face consultation. The latter really helps prepare the case. If the situation should arise that the other party must pay a settlement, but refuses to do so, Countrywide lawyers help once again. We will help plan members prepare the necessary paperwork to have liens placed on property, garnishment of wages, and other means to get what is owed. It is the kind of work that a person can rarely do alone. Countrywide offers high-quality assistance and superior support. This is provided to both the plan member and the client. We realize that not every organization will have the same needs and requirements. Our experience of having worked with groups since 1987 lets us know that boilerplate plan documents are not acceptable. We permit clients to have a choice. The client can decide whether or not certain benefits are part of their Countrywide group legal plan. Certain benefit options may be ignored, and that is perfectly fine with us. We design the final document to fit the needs and wishes of a given client. At no time, however, is quality client service ignored. We do our very best to give the very best. Our administration is designed to provide almost immediate response for any request. No one is made to keep waiting by Countrywide. Small claims court does not need to be a nightmare for anybody. Our lawyers will help provide the pre-paid legal services needed to be ready for the time in front of the bench. We can also provide the kind of negotiating skill that will allow for an out of court settlement. The amounts of money in small claims are too small to bankrupt anybody. However, it is the time spent away from important work projects which cause the real dilemma. We can help prevent that from happening. We have a number of legal benefit options a prospective client can inspect. Countrywide encourages decision makers and human resources directors to get in touch with us about our benefits.